I’m not sure that I have a favorite quote but this quote by William B. Travis, captured on a statue commemorating The Alamo, has come to mind recently. It seems that many things in this life are a battle each day, from being out amongst a poor manners public, who cannot say excuse me or ask politely to get by, to the daily search for truth and real information, to the upcoming elections that will take place this year in the United States at the federal and local levels. Will the people elected for president and other offices act supposed in the public’s best interest as they further restrict our daily choices and our God-given rights? Some people are fighting other public and personal battles with their families, their employers, society and its rules, and the harsh realities of life. This quote also comes to mind because I have had to defend my opinions and justify my feelings to people throughout my life, often when it was not the other person’s place to question me. I can admit when I am wrong most of the time but I don’t like having to justify myself because I don’t fit someone else’s idea of normal. Nor do I like having to play along because I refuse to just accept what I am told as the truth, even though it’s a funny looking duck. I am who I am, and you are free to be who you are, too, whether you are comfortable enough to do so or not. Be yourself with courage, dignity, and strength while still having love and respect for others. Fourteen years ago, I made my way to New York city for the first time. I had dreamed of visiting for years, and decided to visit my brother who was attending college nearby in New Jersey. That week was one of the best times of my life, and I know that this trip meant a lot to my brother as well. I went to many of the great tourist attractions, took into the spirit of NYC, ate lots of NYC pizza and hot dogs from every street vendor I could, and I got to attend my first New York Yankees baseball game. 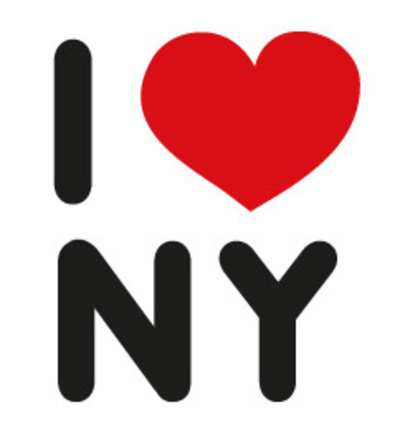 I maybe from Chicago, but I love New York! I grew up in a household watching the U.S. Open tennis tournament every year. I heard stories from my Dad who had visited NYC many times, including as a youngster with my grandfather. A frame photo of the New York City skyline hung in our living room and still does today. I would always ask my Dad about the different buildings as a child, and he got a booklet from a NYC colleague so he could better show me and teach me their names. I knew where the different ports were, which river was the East and which was the Hudson. I knew the different bridges: the Verrazano-Narrows bridge, the Manhattan bridge, and the Brooklyn bridge. I knew the Empire State building, the Chrysler building, and the World Trade center, also know as the Twin Towers. I, like most Americans, remember how my day started and what happened on September 11, 2001. I was getting ready to go to a new job, getting dressed and checking the news. I saw them report that the World Trade Center had been hit, and I saw the smoke pluming from one building, then the other. I remember my Dad calling the house from work, telling us to turn on the TV if we hadn’t already. I remember the shock, what was going on? How could this happen? Was my brother, across the river in Jersey City going to be safe? I was in the world Trade Center five months earlier, with my brother and a friend, looking out on one of the world’s greatest cities from the observation deck. I spent a lot of time walking around that area, and have many pictures taken of and from the World Trade Center. I remember thinking, wow, I could have been in those building when this shocking, unbelievable, and very tragic event happened. I wasn’t, but so many other people were. They all got up that day just as I had, and their lives were changed forever. Many people lost family and friends that were in those buildings, working, trying to rescue people, or just visiting New York City. They died due to a horrible tragedy that I hope never happens to our country ever again. One of my brother’s dearest friends lost his father that day. My brother and his friends helped out by loading supplies in the boats that cross the river to the NYC side. He said that they had to get their minds off what happened and wanted to do something to help. The shock and horror of what happened took a backseat to their desire to be part of the solution. They cheered on and gave their time to the firefighters and other workers that were now searching for people at Ground Zero to boost their morale and express their appreciation. I will never know exactly what that experience was like for my brother, who later moved across the river to Manhattan. He sent us wonderful pictures capturing the spirit of NYC fighting back and banding together, one of which made it into a 9-11 commemoration book. I visited Ground Zero in May 2002 while I was in NYC for my brother’s college graduation. It was indescribable. Those tall, strong buildings with the beautiful view of the city were not only gone, but an ugly, gaping hole in the ground with the remainder of the debris was left in its place. There were makeshift memories surrounding the area, poster of lost loved ones, posting of thank you for the people around the world who felt New Yorkers’ and Americans’ pain. It was an overwhelming scene and I was overcome with emotion, but glad that I had my memories. Even today, seeing pictures of the World Trade Center evoke feelings of happiness, sadness, and wonder about the why and how of what happened. The perpetrators and their accomplices, whoever they may be, destroyed a great American Icon but they didn’t destroy my memories. My family went to the 9-11 memorial in Chicago on September, 11, 2002, and my brother was temporarily living with us while he figured out his next steps. Brother happened to be interviewed by a local news affiliate, and said that he had not talked about 09-11-01 since it happened. He came alive talking about NYC coming together and about supporting the rescue workers with a spirit of fight and courage – I saw something special in him that day, and was very proud. 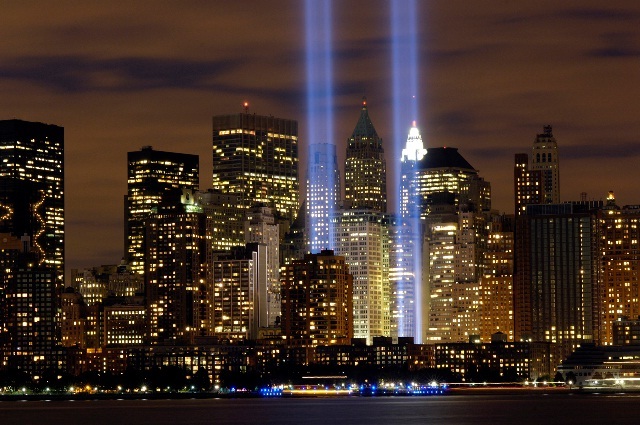 I will always remember 9-11-01. I am grateful as an American for the brave men and women who rose to the occasion to help, rescue and, ultimately sacrifice themselves so that others might live. I am grateful for those, like my brother and his friends, who got stronger and reached out to others when they could have stood by. I am grateful for the police and firemen throughout America who go to work everyday to rescue, protect and help others, with the knowledge that their lives could be at risk and sacrificed. There are tragedies throughout our country every day, but I pray that we will never face another day like September 11, 2001.